Two Adair County High School students were suspended after dressing as the Columbine shooters at school on Halloween. WARNING: This article contains photos resembling pictures from the Columbine shooting. EDITORS NOTE: An earlier version of this article incorrectly named the city where the school is located. Columbine High School is in Littleton, Colorado. COLUMBIA, Ky. (WHAS11) — Two Adair County High School students were suspended after going to school dressed as the Columbine shooters for Halloween. The two girls went to school wearing outfits that resembled the outfits Dylan Klebold and Eric Harris wore the day they killed 15 people at their school in Littleton, Colorado in 1999. 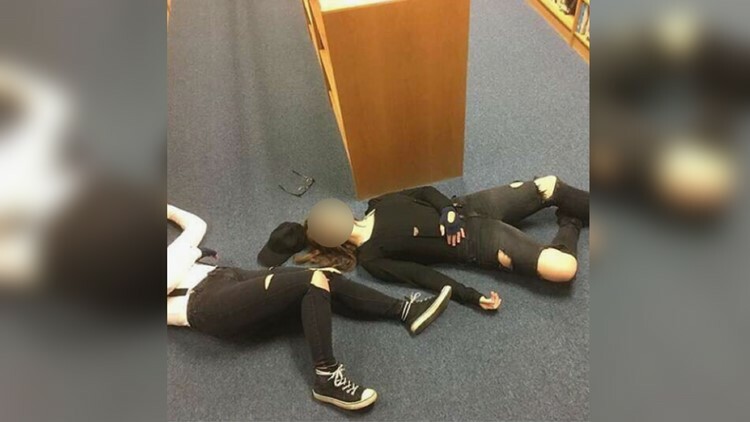 Posts on girls' social media showed the two reenacting moments from the Columbine shooting with side-by-side images of the girls pretending to be the two shooters next to real photos from Columbine. The two posted this picture on Instagram reenacting a real-life photo of the Columbine shooters after they shot themselves. "We take the situation very seriously and our personnel are continuing to investigate the facts and circumstances surrounding this matter," Pamela Stephens, Adair County Schools Superintendent, said in a statement. "The students are currently suspended." 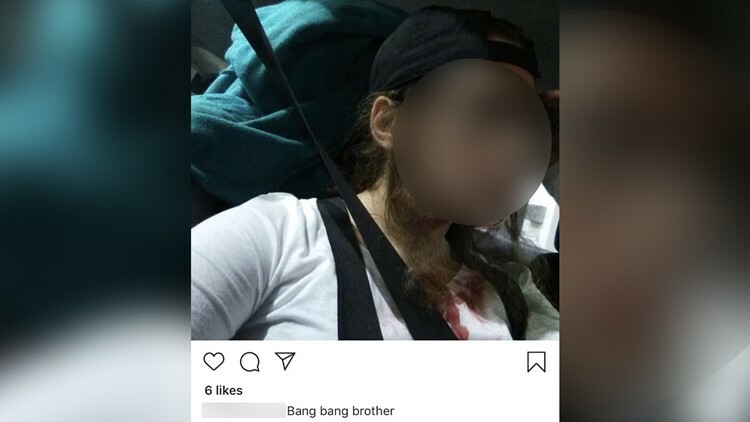 The superintendent did not say how long the two girls were suspended, but many Adair County High School parents said they were angry the district only suspended the girls. "It's ridiculous," Amy Tarter, mother of another student at the school, said. "I think any child that does that should be expelled and any parents who [support] their child [doing that] should have charges brought against them." One of the students posted a photo in costume with the caption "Bang bang brother." "You worry every day about sending your kid to school, and now you have people joking about it," Tarter said. Tarter has lived in Adair County since she was a child, and said she noticed that many issues at the schools are often hidden from the public. "They don't take anything as seriously as they should," Tarter said. "They just sweep it under the rug." With a topic this serious, Tarter said she hopes this time is different. The statement from Superintendent Stephens said the district will have no further comment pending investigation.